Please vote with your personal ratings for West Ham players who played for ten minutes or more in the Cardiff City v Hammers game in the Premier League in Wales this afternoon. Manuel Pellegrini is likely to reward the West Ham starting lineup which beat Newcastle United 2-0 last weekend by naming an unchanged lineup at 2 pm to face Cardiff City in Wales. West Ham will officially tell any club enquiring about Declan Rice that he is not for sale at any price this summer while privately admitting that every player has a price. However, at this time it would take a massive bid of £100m or more to tempt the Hammers to let their young star leave for bigger and better things. West Ham supporters are confident of an away win this afternoon in Wales. Nearly 76% of 1,300 Claret and Hugh readers voted for a West Ham win in yesterday’s Claret and Hugh poll with just 8% predicting a loss. The remaining 16% believe a draw is a more likely outcome against Cardiff. Yesterday I wrote an article about the possibility of signing free agent Yacine Brahimi adding that we had around £25m budgeted to spend in the summer plus the proceed of outbound sales. Marko Arnautovic is likely to play second fiddle to Chicharito again tomorrow (Sat) but it’s a fate he understands and accepts. The fall and fall of Diafra Sakho doesn’t seems to have dented the opinion he holds of himself after causing mayhem in his bid to quit West Ham. 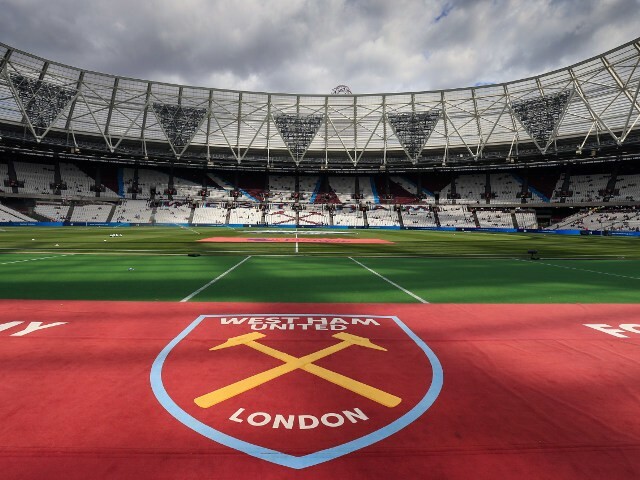 West Ham set off for Cardiff looking to grab another victory which would set them on their way to achieving their best winning run of the season. Mark Noble could not be more pleased that Manu Lanzini is back in the international frame for Argentina. Poll: How will the Hammers get on in Cardiff? Posted in ClaretandHughComments Off on Poll: How will the Hammers get on in Cardiff? Newcastle’s Jonjo Shelvey remains a possible Hammers summer buy but the manager is looking hard at the midfielder’s injury record this season before committing himself. Manuel Pellegrini heads for Wales tomorrow believing the Hammers are in one of the “best moments” of the season. Mark Noble tends to split opinions as a player these days but his commitment to the West Ham United cause remains total. Samir Nasri has taken up the manager’s mantra – the first step in becoming a big club is to think like a big club! Gareth Southgate insists that he in no way pressured him into making a decision to represent England during the player’s recent international dilemma. West Ham could be looking to hold talks with Yacine Brahimi over a possible free transfer to the London Stadium once the forward’s contract with FC Porto expires this summer. AC Milan, Lazio, Everton Wolves, Manchester United, Watford and Arsenal are also interested in making a move for the Algerian so the Hammers would face fierce competition. Manuel Pellegrini could have limited funds this summer this summer with just £25m on his disposal on top of any outbound sales of players, one way around his lack of spending power this summer would be to sign free agents, and that could mean the Irons step up their interest in Brahimi, who only has a few months left on his current deal at the Estádio do Dragão. The Algerian international, who turns 29 on Friday is a gifted winger/attacking midfielder, has been on Porto’s books since 2014, when he made the move to the Portuguese giants from La Liga outfit Granada. Across 171 appearances in all competitions since his arrival in Portugal, Brahim..
Mark Lawrenson has had a tough time fancying the Irons to win a game of football all season, notably those we have managed to beat or draw with decent opposition. Jack Wilshere’s injury woes continue with nobody sure whether he has a chance of returning to action this season. Former West Ham manager David Moyes has explained how he missed out on Axel Witsel joining West Ham during his reign. David Moyes is probably in a better position than anyone to judge Declan Rice’s progress this season after launching him into the first team last season. VAR is on the way next season and despite some reservations the manager Manuel Pellegrini reckons it will be a decent development within the game. Manuel Pellegrini has confirmed that both Aaron Cresswell and Fabian Balbuena are available for selection against Cardiff City at the weekend. Fit again Samir Nasri knows he will be made to fight for a place in the team with so many players returning from the sidelines.